Call Now 602-449-0310 or Schedule Online for 10% Discount! Phoenix Arizona Appliance Repair Service will repair and help you maintain your valuable home appliances, such as Amana, Bosch, Electrolux, Frigidaire, Maytag, Kitchen Aid, Jenn-Air, Whirlpool and many more. We not only repair and maintain appliances for our local and regional home owners in the Phoenix Arizona Appliance Repair area we also work with Builders and Property Management Companies, providing outstanding service and affordable pricing on the appliances that need repair or maintenance. Phoenix Arizona Appliance Repair Service is a family owned, service focused company, often providing same day repairs. 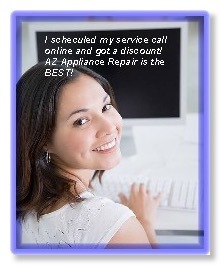 We also offer a 10% discount on your appliance repair when you book online. 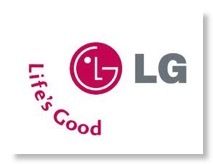 The list of appliances that Phoenix Arizona Appliance Repair Service services and repairs, includes stoves, cooktops, ovens, dishwashers, refrigerators, freezers, clothes washers and dryers, air conditioners from these major brands: Admiral, Amana, Bosch, Crosley, Danby, DCS, Electrolux, Frigidaire, Gaggenau, GE, including General Electric and GE Profile, Gibson, Hotpoint, Jenn-Air, Kelvinator, KitchenAid, LG, Magic Chef, Maytag, Norge, RCA, Roper, Samsung, Tappan, Thermador, Westinghouse & Whirlpool. If you don’t see your brand in this list, give us a call at Phoenix Arizona Appliance Repair Service, chances are, we can fix it too! Our main focus is to get your appliances repaired or maintain them in top-notch condition so your daily routine isn’t disrupted. If it’s too late for that and you have an emergency repair contact us at Phoenix Arizona Appliance Repair Service or book your appointment online. We are open from 8 am – 6 pm and take appointments in three hour segments for your convenience. Not sure we cover your area? We service and repair appliances in the metro Phoenix, Arizona area, north to Anthem, south to Ahwatukee and we will go east and west to Mesa & Litchfield Park. The communities we work in are listed in the left hand column. Serving Phoenix, Arizona with residential and commercial appliance repairs, and appliance maintenance.